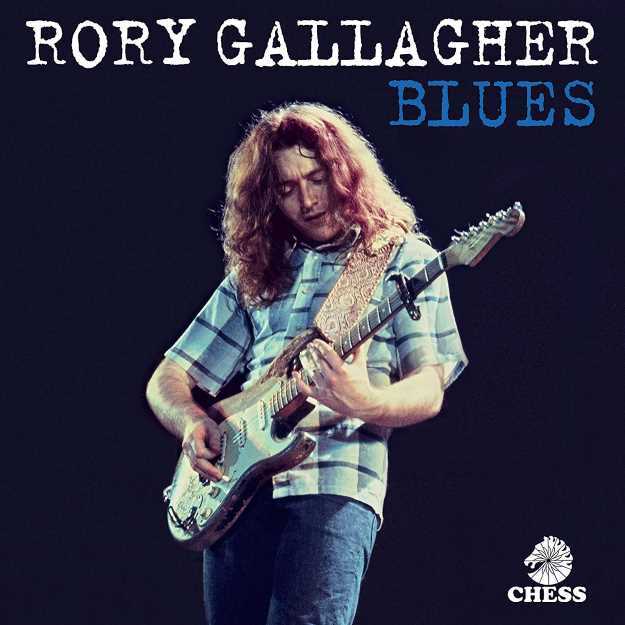 In what would have been the 50th year of Rory Gallagher's recording career, Chess/UMe will release a new career-spanning collection, Blues, on May 31. Drawn from the vaults of the Gallagher estate's tape archive, the collection presents rare and unreleased recordings of Gallagher playing his favorite blues material. Ranging from previously unreleased tracks to special guest sessions and lost radio sessions, Blues uncovers Gallagher's love of the blues throughout his solo career, from 1971 through 1994. Listen to one of the previously unreleased tracks below. Blues' formats include a 16-track 1-CD and digital edition; 2-LP vinyl and limited-edition 2-LP blue vinyl editions; and a deluxe 36-track 3-CD and digital edition. The Deluxe Edition is composed of 90 percent unreleased material and features performances with Muddy Waters, Albert King, Jack Bruce, Lonnie Donegan and Chris Barber. The 3-CD Deluxe Edition also includes an extensive booklet with previously unseen pictures of Gallagher, plus a new essay by blues-rock writer Jas Obrecht. Says a press release announcing Blues, "Rory Gallagher was a self-taught virtuoso who forged a musical revolution in his native land, shunned the trappings of fame and stardom yet became a universally acclaimed international folk hero. In the years that have passed since his death, aged 47 on June 14, 1995, his true stature has become ever clearer. This soft-spoken Irishman, characterized by his flowing locks and trademark working man stage clothes, was far from ordinary. "Rory's rock-solid devotion to his calling never wavered and the respect of his musical peers was universal. Eric Clapton credited Gallagher with 'getting me back into the blues,' and the Rolling Stones tried to get him to replace Mick Taylor. Rory's influence spread through the generations-from Slash to Johnny Marr, from U2's The Edge to Queen's Brian May and on to The Manics' James Dean Bradfield-any aspiring player who encountered him was bound to be energized or transformed." Rory Gallagher is commemorated throughout Ireland-a bronze statue in Ballyshannon, a sculpture in Cork where the local theatre is named after him, a mounted guitar in Dublin, a plaque in Belfast. His famously battered paint-stripped Sunburst Strat has been marketed by Fender in a tribute model. There's a Rue Rory Gallagher in Paris, an annual festival in Ireland, and tribute concerts held each year in his honor around the world. Listen to Rory Gallagher and Muddy Waters perform "Walkin' Blues"